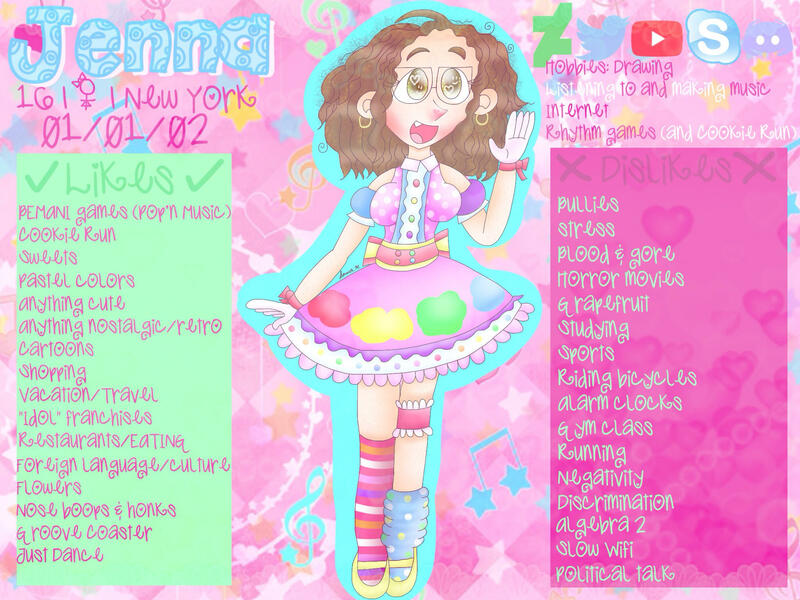 My name's Jenna, and I'm an artist from a land of fairies always seeking to improve and trying everything she can to help herself get better every day. I believe that a smile and a bit of sparkle can change the world - and sometimes a boop on the snoot helps too! Through my artwork I hope to spread happiness and utter joy, both things many people could use. I'm 100% certified BEMANI trash, ESPECIALLY for Pop'n Music (and my child, Alt). I've also become complete Cookie Run trash as well! Made with the lovely CB Compiler by Darqx! Here's just a little bit about me so you can really get to know me!